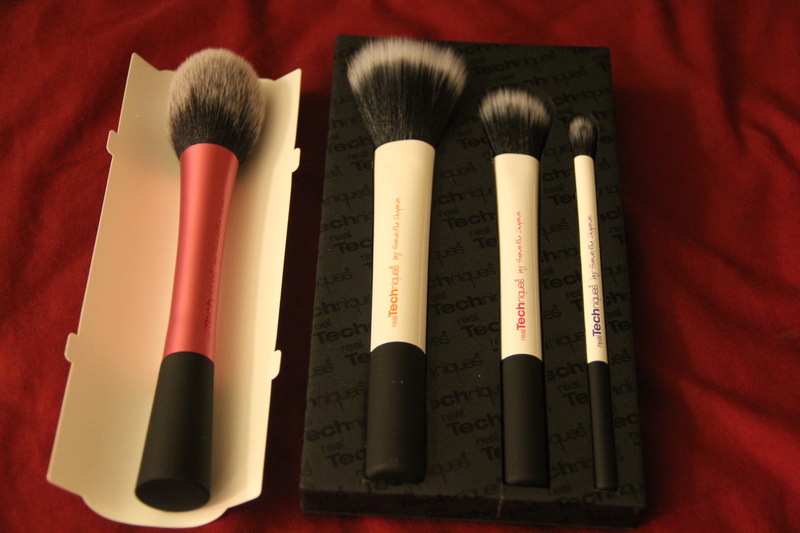 I was super excited when I saw the limited edition duo fiber brush set by Real Techniques at Ulta.. primarily because I am such a huge fan of the entire brush range and also of the Pixiwoo sisters on Youtube.. 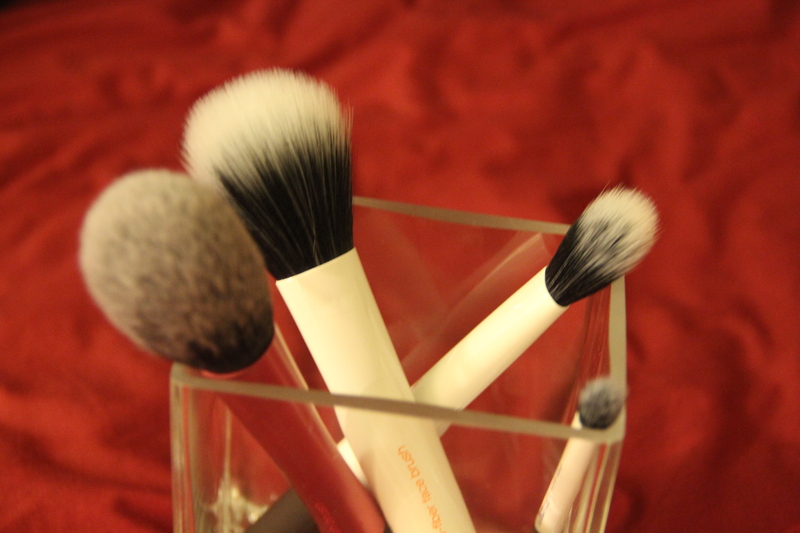 I have all the Real techniques brushes except the kabuki brush (not a fan of kabuki brushes in general) and use them every single day.. I have more than one of the same kind for the ones I absolutely adore.. 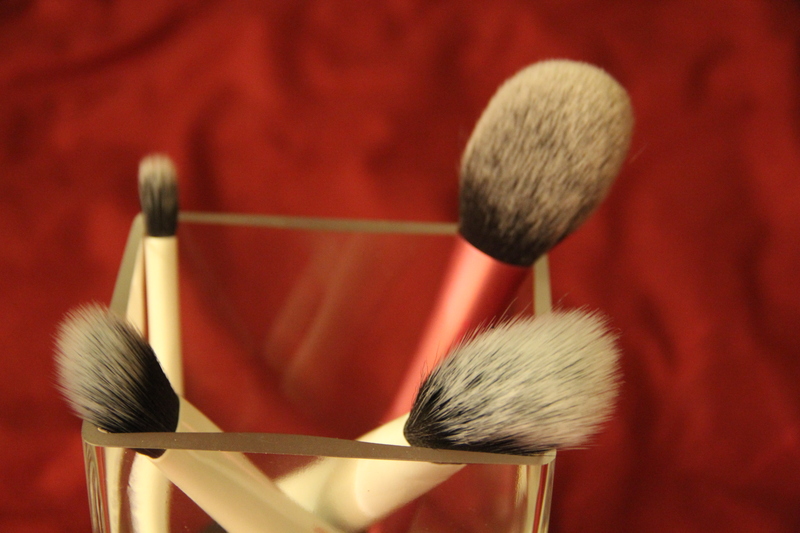 I love the large face brush for applying my finishing or setting powder.. 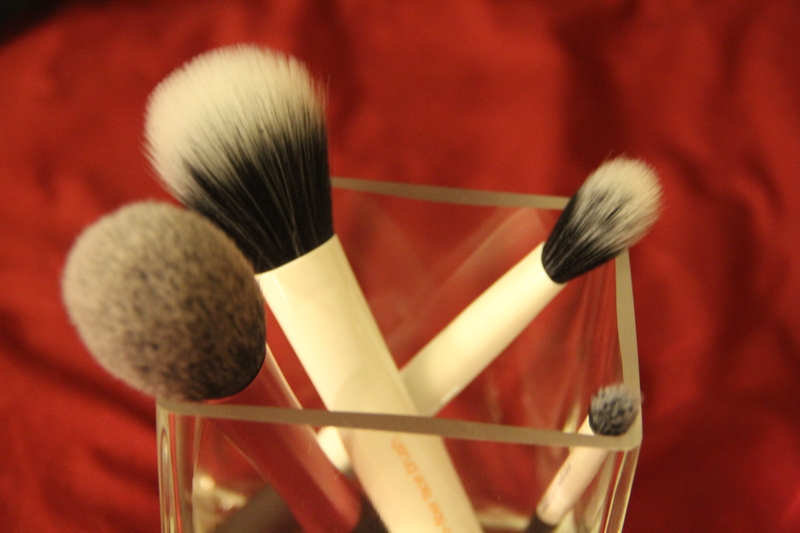 It gives a light finish like no other brush.. I use it with MAC mineralise powder natural.. I use the smaller face brush for contouring.. Its great to have a light contour effect and can be used to build it up.. and not look fake.. The eye brush is probably the least used of the lot but it does built up a well blended crease.. just have patience with this one.. It builds up slowly..